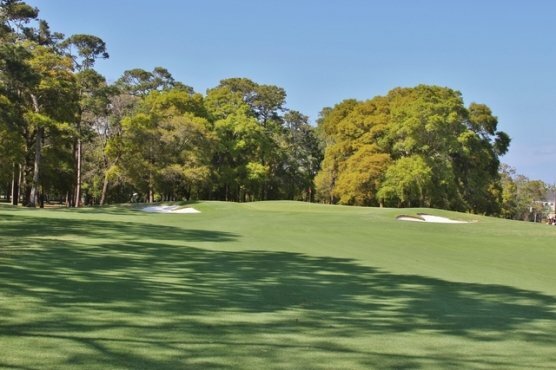 The Myrtle Beach golf industry is a very competitive golf market and the Myrtle Beach golf courses have to continue to make improvements to stay competitive. Shaftesbury Glen Golf & Fish Club is scheduled to make many renovations to their course beginning in January 2016. The operators of Shaftesbury planned on beginning the renovations on Jan. 4 but the rain in late December caused them to close the course early due to wet conditions. The course is scheduled to reopen Jan.29. Many of the alterations will include ways to alleviate wet conditions. Heavy equipment will be used to move earth to low lying areas and ponds, ponds are being enlarged, the drainage system is being improved, several holes will feature vast waste bunkers, some fairway bunkers are being removed or integrated into waste bunkers on a few holes and all greenside bunkers are being renovated to improve drainage. The waste bunkers will cover approximately 250,000 square feet. Much of the work is being done on the perimeter of the holes because the fairways are crowned and the water collects at the edge of the rough lines. Recent flooding has brought to attention of the drainage problems to the Clyde Johnson designed golf course that opened in 2001. The waste bunkers that will be added will make the course more eye appealing and challenging while also providing more driving areas for golf carts. The Glens Group which also operates Heather Glen, Glen Dornoch and Possum Trot is spending approximately $600,000 on the project. While the course is scheduled to reopen in late January the course plans to have a grand reopening in late February or early March. With the new renovations to be completed, Shaftesbury Glen Golf & Fish Club would be a great addition to your spring Myrtle Beach Golf Authority golf package.